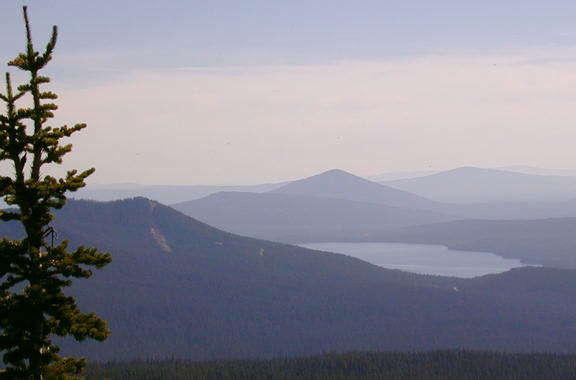 Waldo Lake. 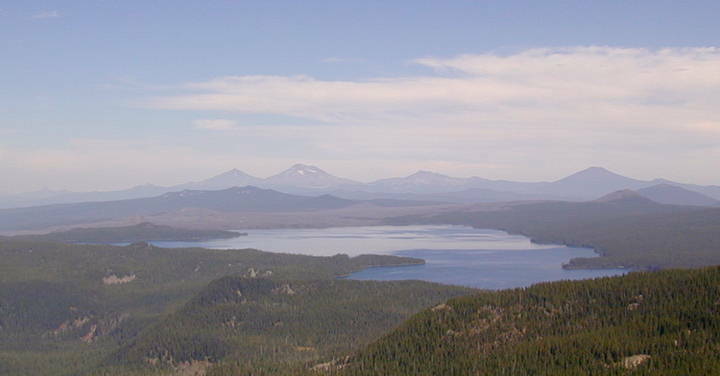 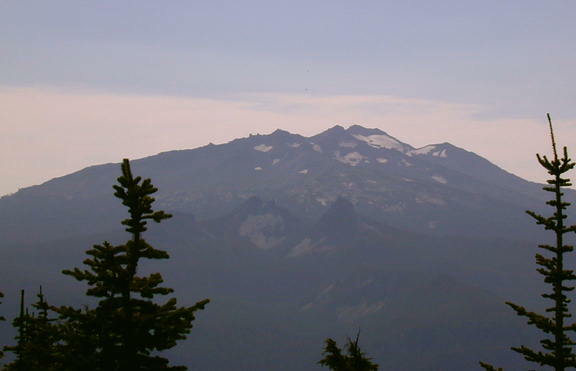 In the background, left to right: The Husband, Middle Sister, South Sister, Broken Top, and Mt Bachelor. 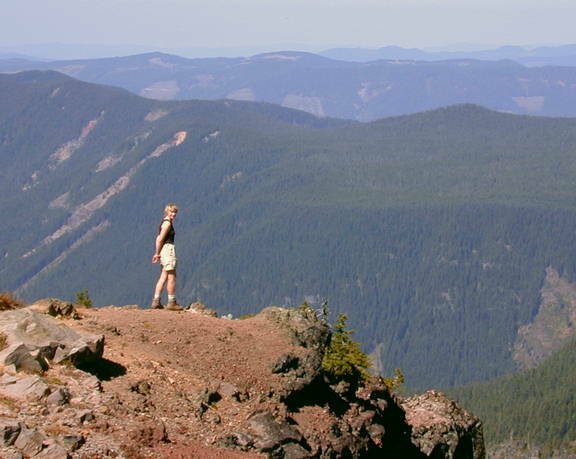 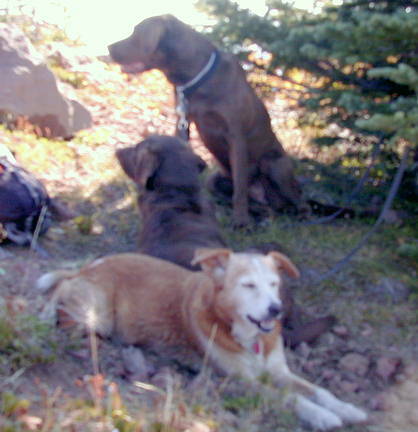 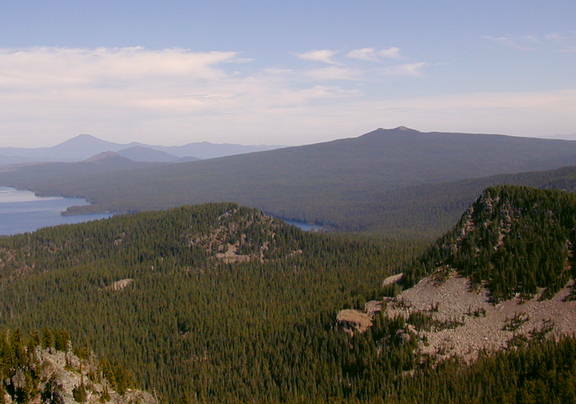 The Sawtooth Ridge and Mt Thielsen in the background. 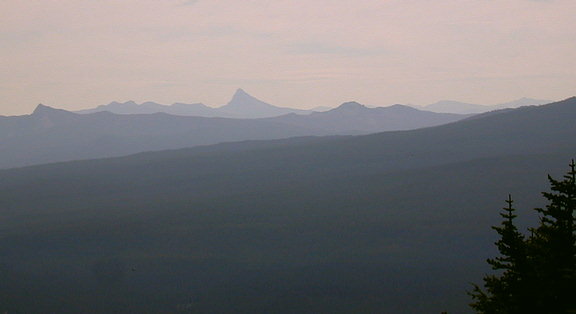 Cowhorn Mountain and Sawtooth Mountain in front. 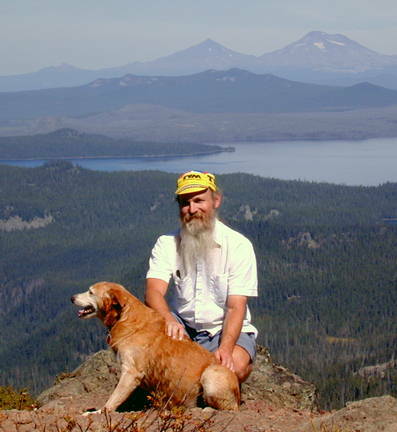 Chris Stockdale admires the view. 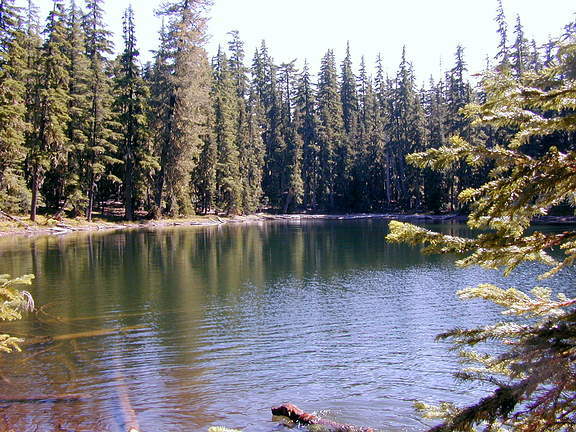 Dudley selects a log from the bottom of Verde Lake.